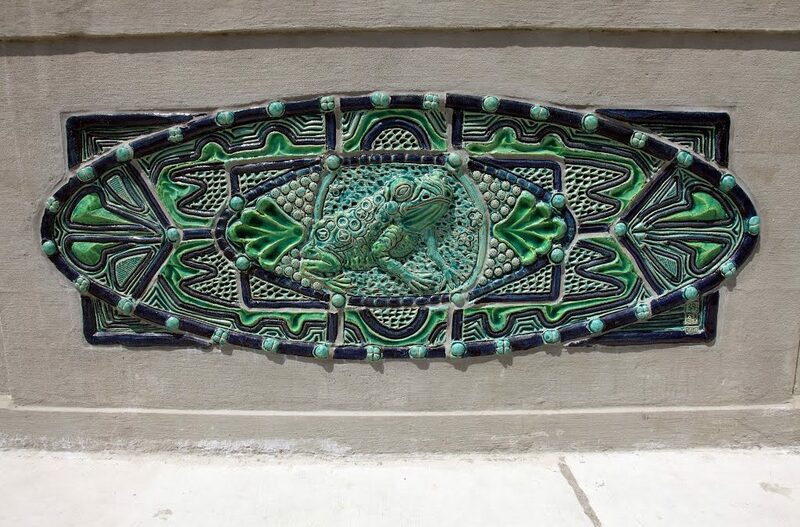 In bas-relief sculptural panels embedded in the bridge’s concrete guardrails, Kersey tells the story of the life cycle of the toad, from courtship to strips of frog egg “tape” floating on water to developing tadpoles and “froglets” to the mature toad. It was installed in 2011. Kersey also created similar ceramic panels for the Millrace Bridge, which connects Brackenridge Park to the golf course.